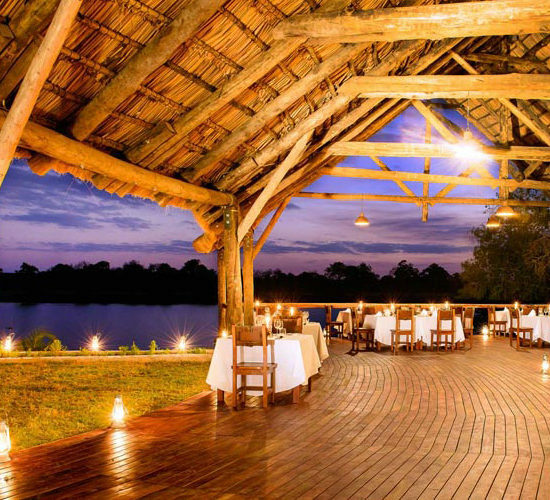 Ila Safari Lodge is located in the Kafue National Park, the largest and oldest park in Zambia and one of the last great expanses of remote and unspoiled wilderness in Africa with 22,400 square kilometers of pristine African bush to explore. 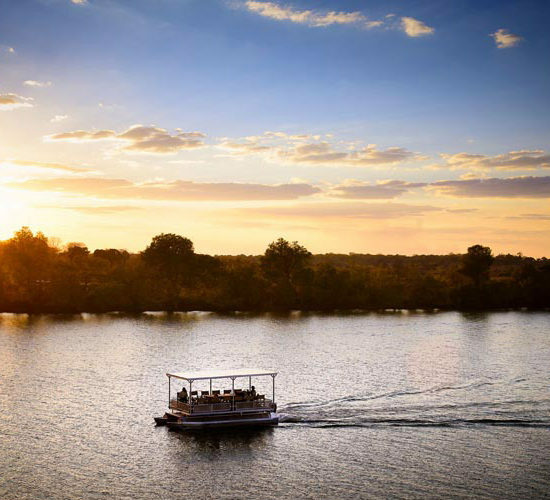 40% of all of Africa’s water flows through Zambia and the Kafue River –the major lifeline of this park – is one of the largest rivers in the country. 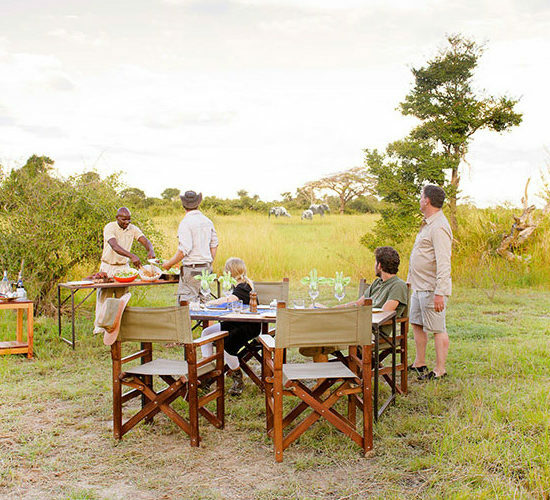 This unexplored gem of a park is enticing for it’s incredible diversity of wildlife and it’s sheer quantity of big game. 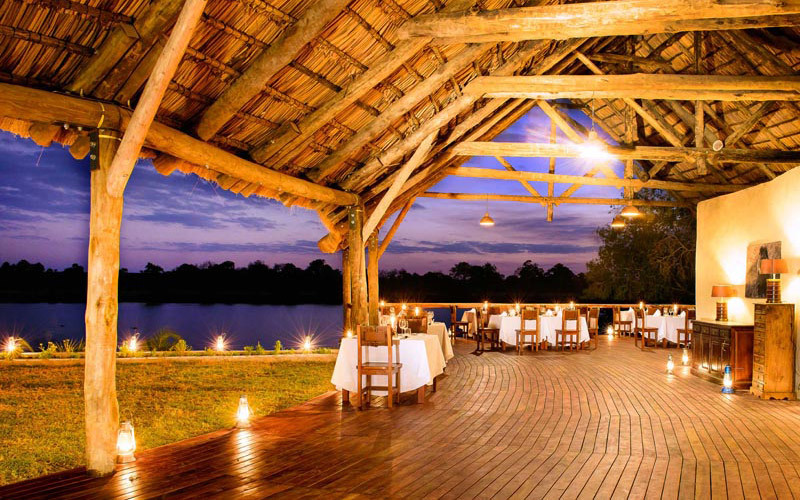 The name Ila Safari Lodge was inspired by the local Ila people, a cattle-herding tribe residing in the valley of the Kafue River. 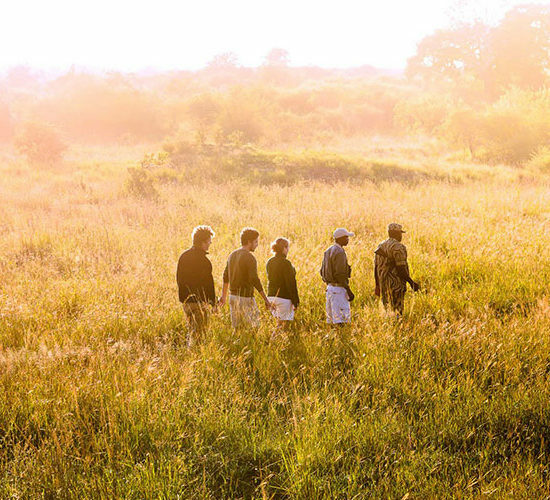 Their distinctive hairstyle called ‘isusu’ was designed to allow fellow members of hunting or war parties to see each other over the tall grass of the Kafue floodplains. 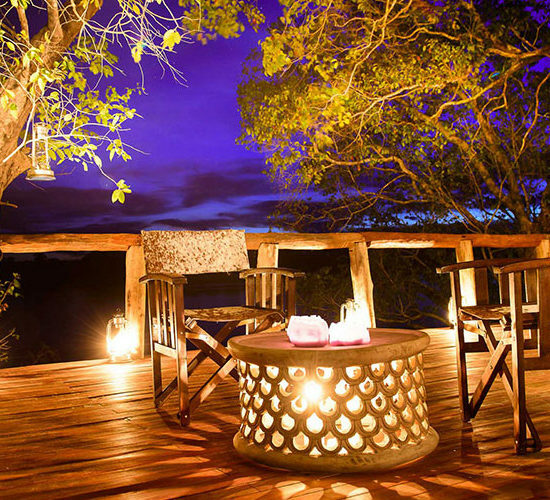 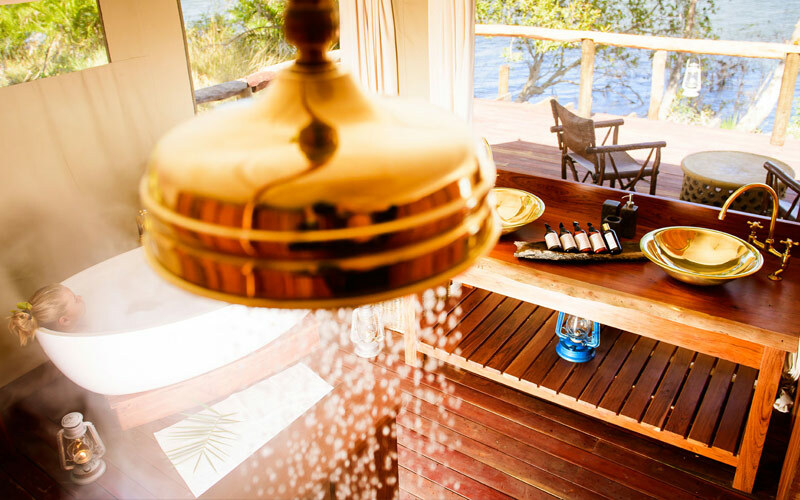 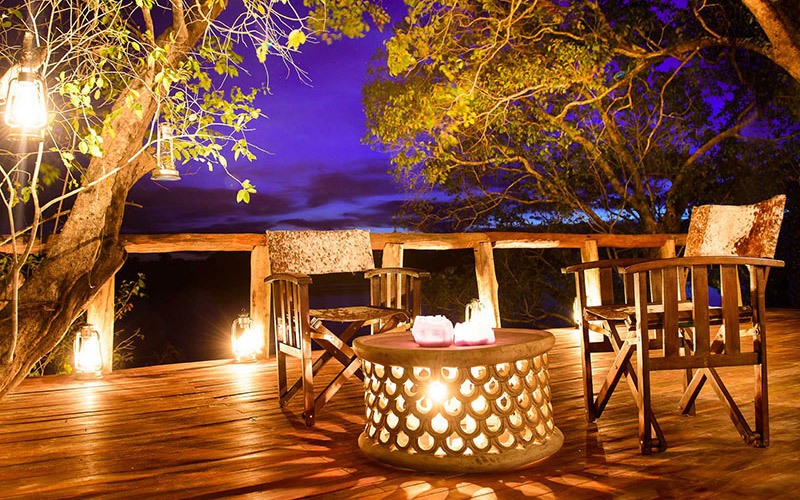 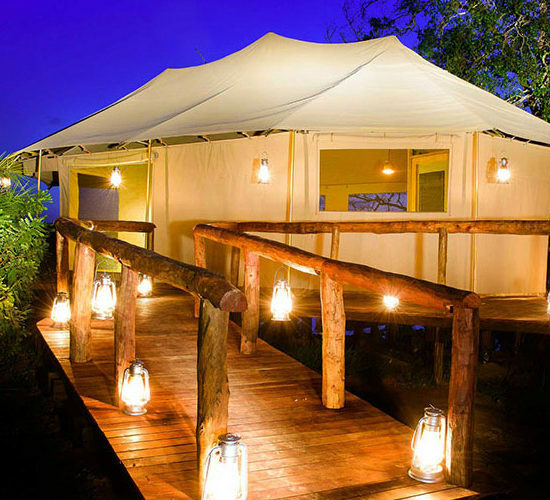 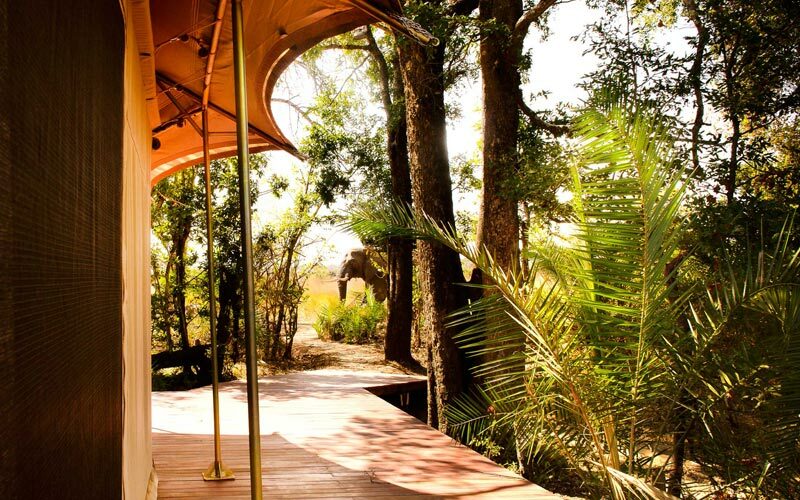 The Lodge is an eco-lodge providing facilities of the highest quality with 10 luxury safari tents perched each on their own deck reaching out over the banks of the Kafue River. 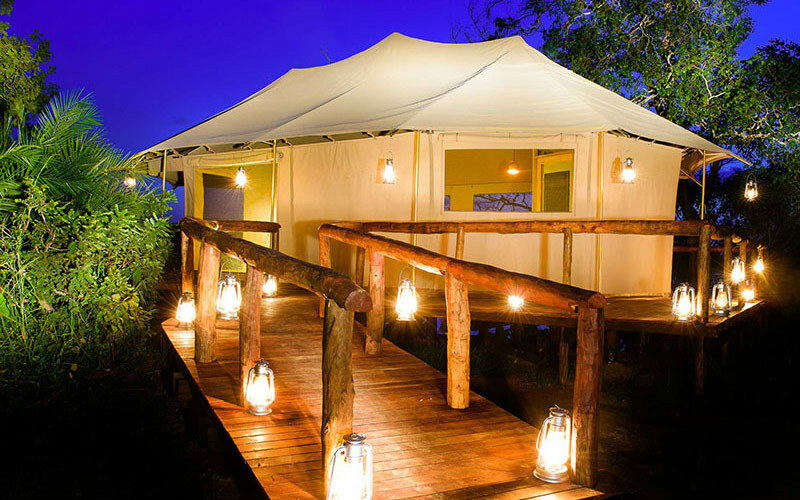 Included are 2 family suites. 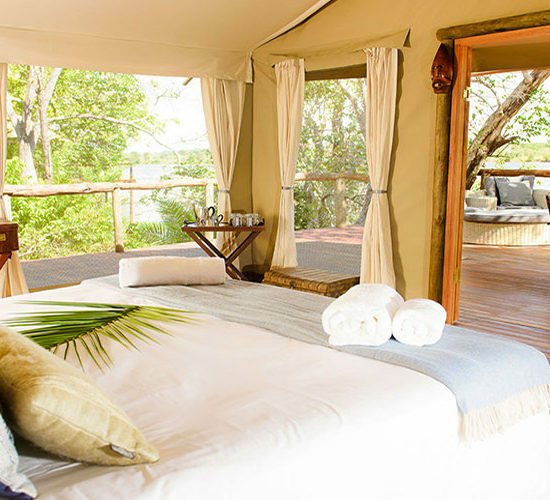 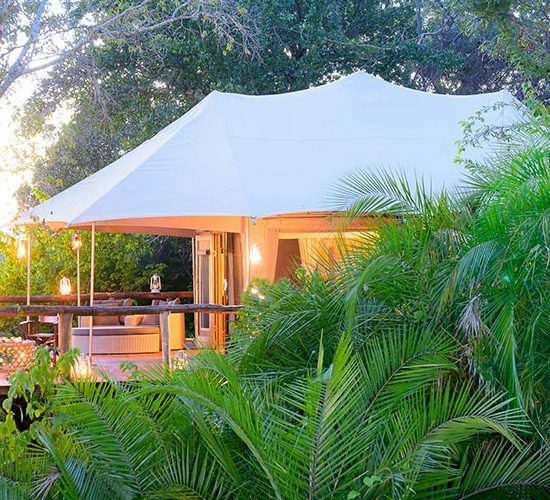 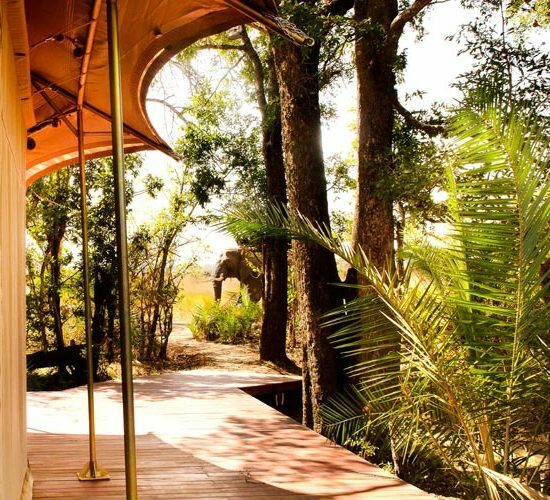 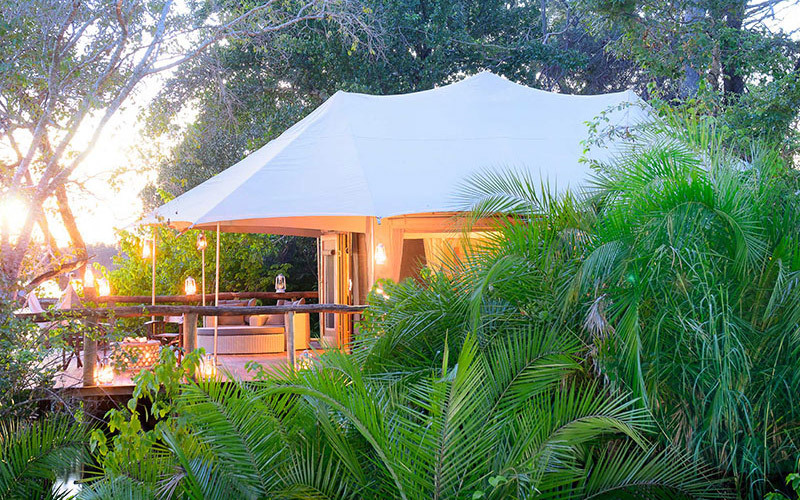 Each tent has been individually designed to mesh with the flora surrounding it providing shade, privacy and your very own piece of Kafue wilderness. 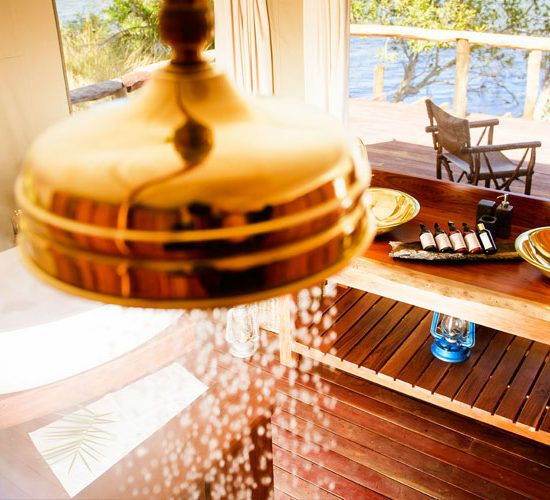 The interiors as well as the private decks are furnished in chic, modern African style and every comfort has been considered. 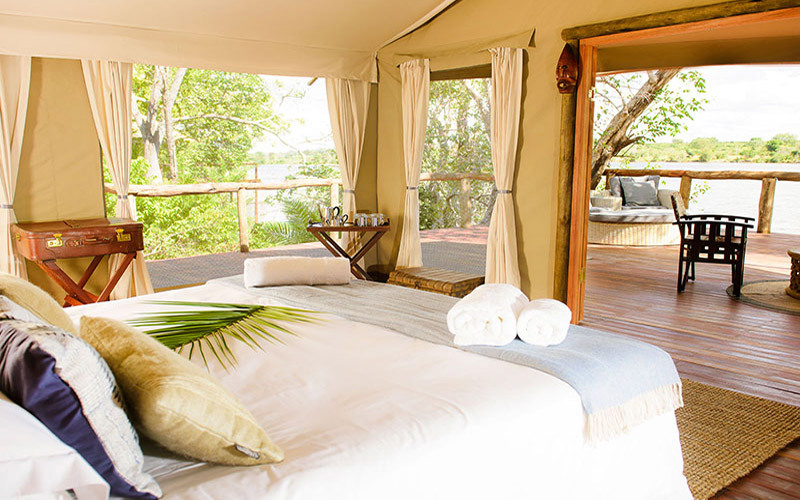 All tents feature en suite bathrooms and both outside showers or baths. 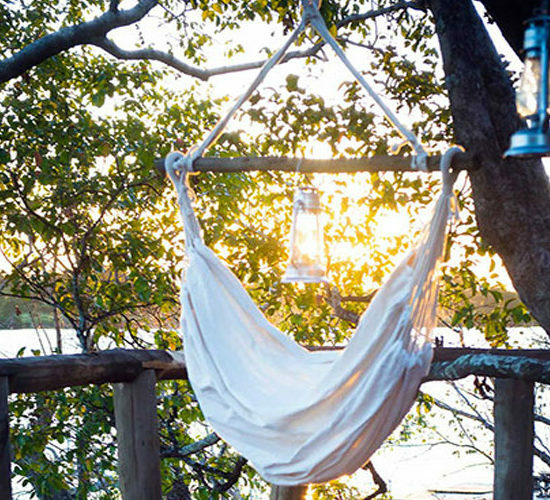 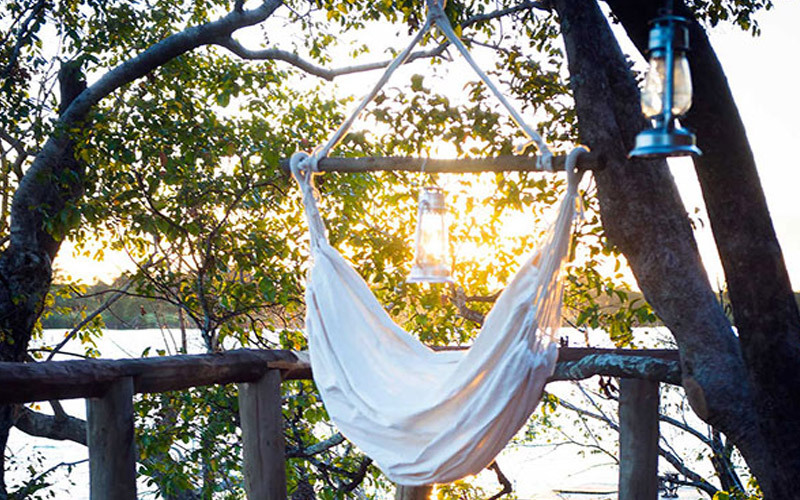 Mosquito nets are spacious and billowing and are turned down for you each evening. 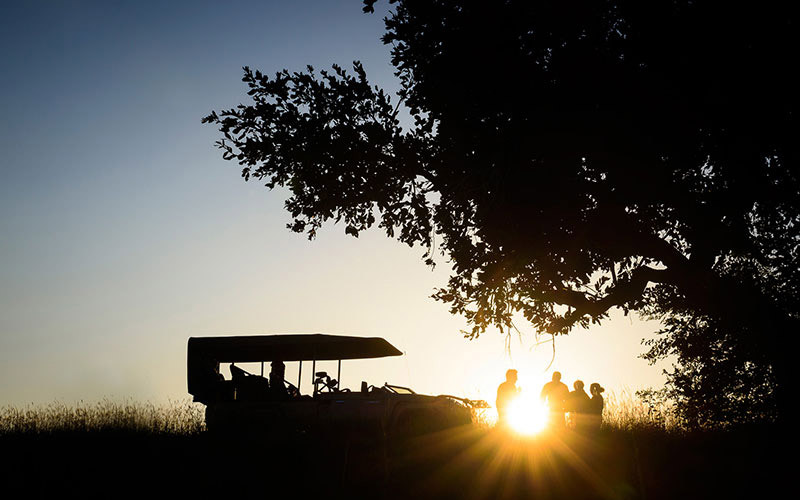 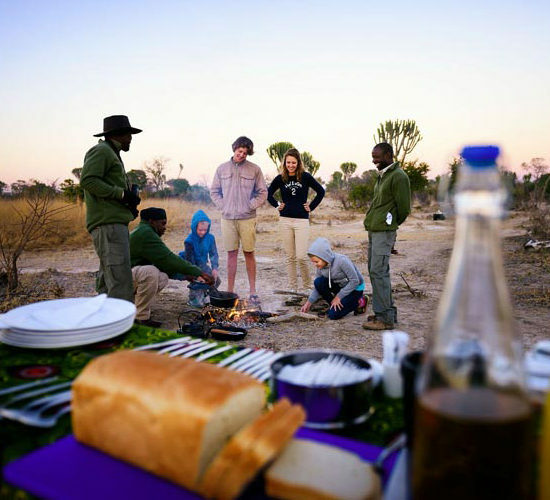 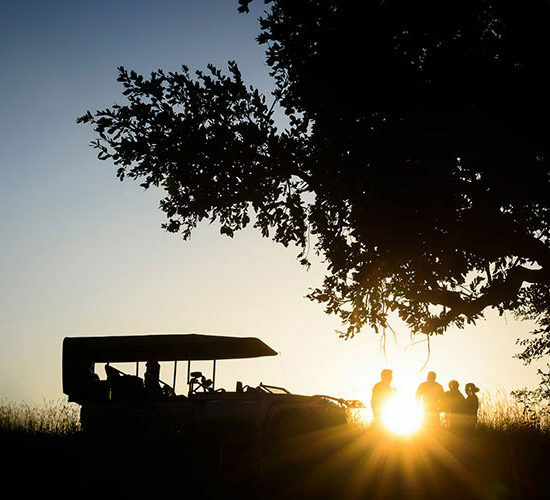 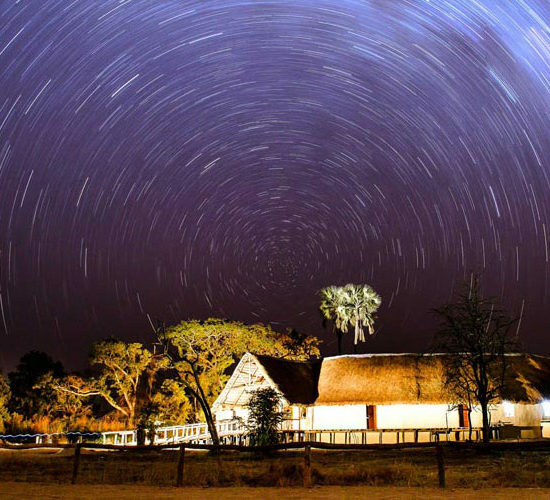 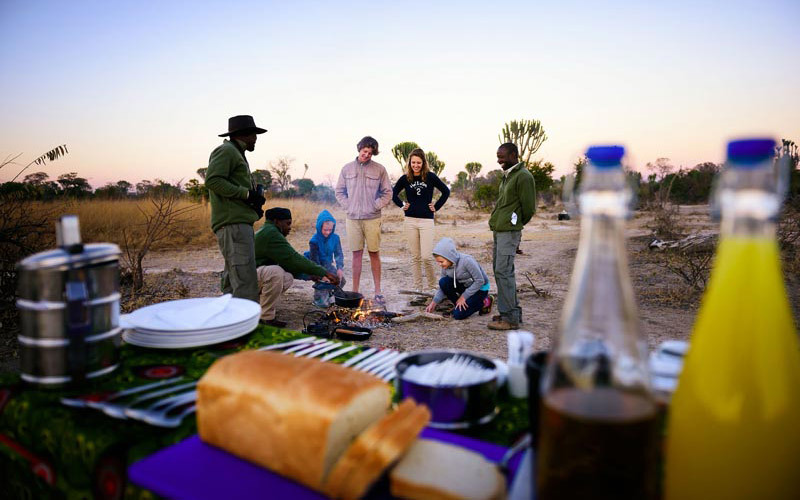 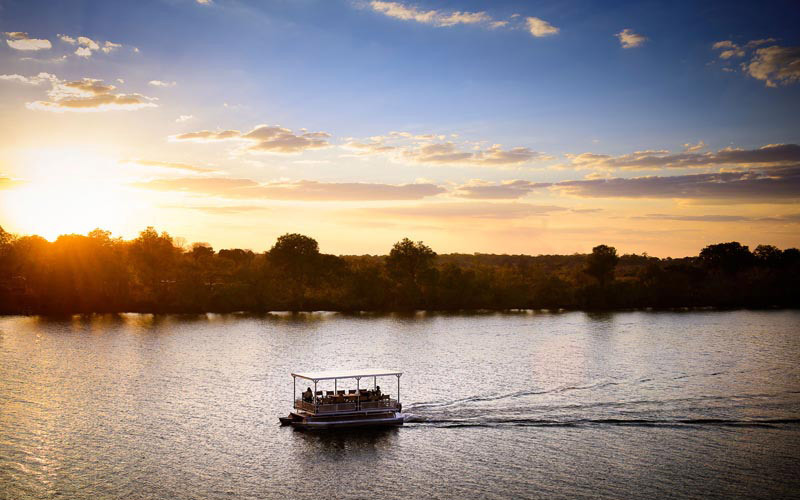 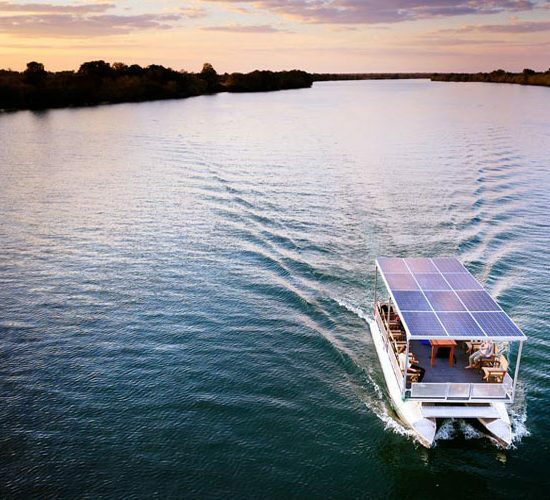 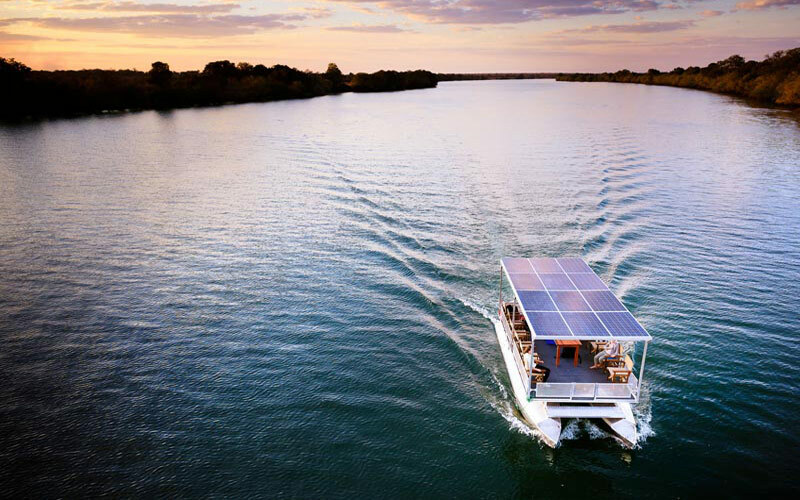 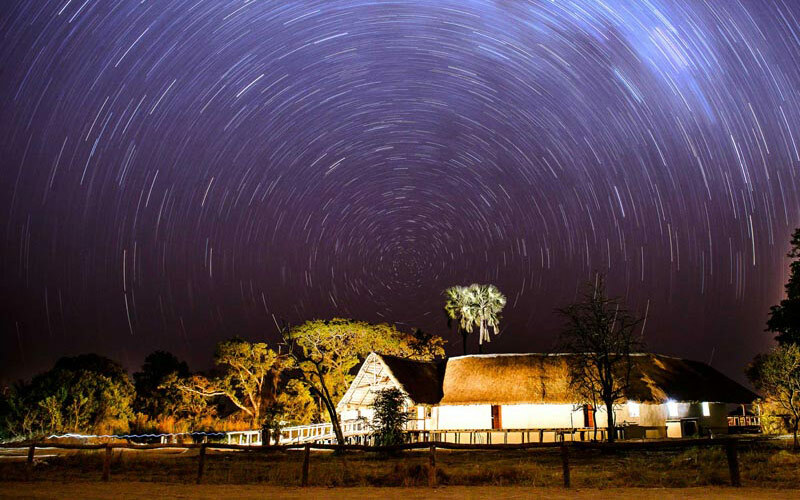 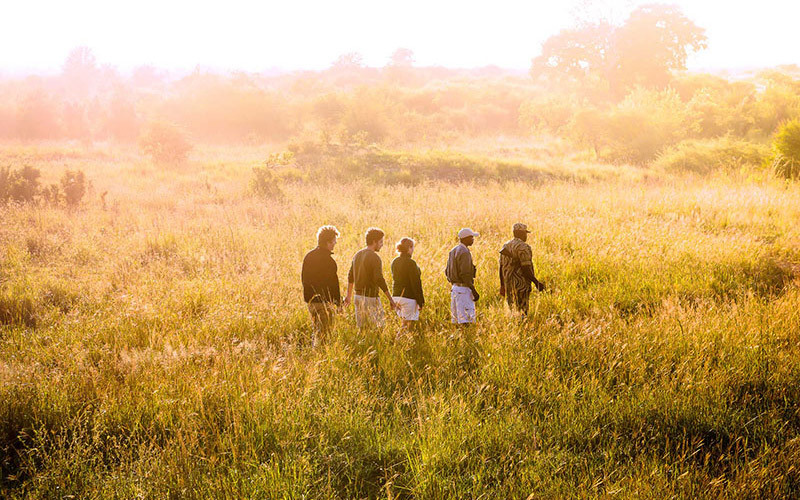 To make the most of all Kafue has to offer, guests can explore and make the most of the wide range of activities; game drives, river safaris, fishing, walking and stargazing; on offer or stop and relax in the blissful surrounds of the lodge taking in the stunning river views and life around it. 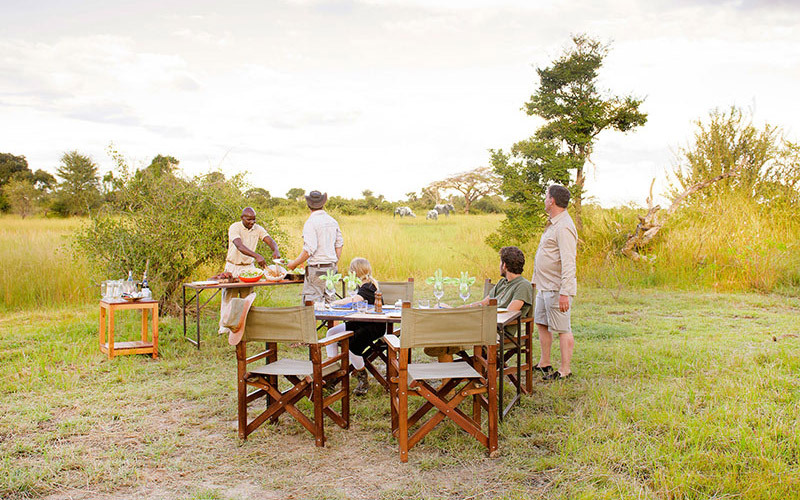 You are likely to spot elephant, lion, buffalo, leopard, hippo, crocodile, all manner of antelopes, an incredible variety of birds and much more.